Small local group who research and document local history and heritage and make it available to the public. 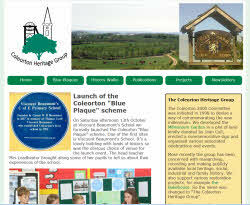 New site in time for the launch of the local “Blue Plaque” project and sales of Coleorton 2019 calendar. Site is fully responsive. Also set up a newsletter for interested “friends” and one for publicity - using MailChimp. Renaming and relaunching of “The Jungian Training”. The entire website and the private trainees’ section were revamped and made responsive. 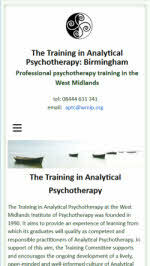 New domain name meant ensuring all links and descriptions on their parent organisation West Midlands Institute of Psychotherapy were updated. Moved the site to a new hosting platform and included https security. For the past 7 years I’ve been following the newsletter of Michael Katz. Michael is a business consultant who specialises in very small businesses, independent consultants and solo-professionals. He has a pretty good perspective on what’s needed to create and nurture an effective client base - because that’s what he has done successfully for over 17 years since he took the plunge and left the corporate world. His bi-weekly newsletters are short, funny and always include some advice that you can put into practice without spending very much, or any, money. He has written several books, runs regular on-line courses and webinars. His latest book is “The Likeable Expert, 121 Insights to Start Your Day and Grow Your Business”. The book is based on his successful newsletters. Each insight is a single page, so it’s very digestible. Take a look at his website for more about Michael and some of his advice. You can pick up a copy of his book here! £7.54 approx on Amazon. For more news have a look at my blog or read my newsletters.